Here is the Bangladesh Ambassador and his wife to China in the Beijing Embassy. I sure wish I had made more photos. We had dinner with these two and my wife at the embassy. The dining room the table was about 40 feet long and could have seated at least 100 folks. The four of us just used a a little part at one end. The food was some good Asian with lots of curry. We were in China with 19 students from Virginia Tech visiting for about 4 weeks. This was a great trip and we put on several thousand miles from North to South in China. Our meeting and dinner lasted about 3 hours and the conversation with the Ambassador and his wife was just great. Beijing was our first stop during our China visit and the ambassador gave us a great understanding about the current China. The Students traveling with us had no idea where we went for dinner. Returning to our hotel it was useless to tell them "Oh we just had dinner over at the Bangladesh Embassy with the Ambassador and his wife" of course they did not believe a word of it. We did not have digital camera's to tell the instant story in those days. This was one of those WOW moments and my wife and I still talk about what a great experience we had. How computers and ham radio made this trip possible - My ham radio and work with computers & scientific instrumentation made my faculty position at at Virginia Tech a reality. The trip to China was a Virginia Tech (VT) venture put together by VT Professor Jim Littlefield. My wife and I joined his group for the visit to China. Here is a bit of my history that made the meeting and dinner with the Ambassador in Beijing a reality! very large secret computer project at the War College in Norfolk, VA. The only reason I received this opportunity was I was a Ham Radio fellow with an excellent knowledge of electronics. Only about 12 in the whole Navy were part of this project as technicians. 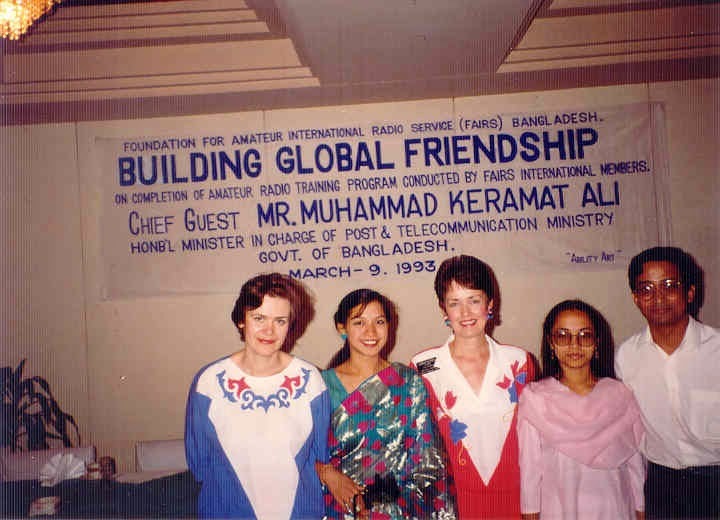 Years later in 1992 I arranged an Amateur Radio DXpedition to Dhaka, Bangladesh with the help of Dr. Toufiq Ali the Deputy Chief of Mission at the Bangladesh Embassy in Washington DC. Over the next few years Toufiq and I became very good friends and one day I mentioned to him our planned trip to China. His reply was "Oh that is great I will call my friend who is the Bangladesh Ambassador in Beijing and have you meet him". I thanked Tofig but really did not take it to seriously --- however when my wife and I arrived in Beijing I called the Ambassador and indeed he said " Oh Tofig told me you would call can you come over to the Embassy for dinner" . WOW that got my interest real fast and plans were made for that night. This computer experience started a long and wonderful career for me and it is still getting better at 76 years. 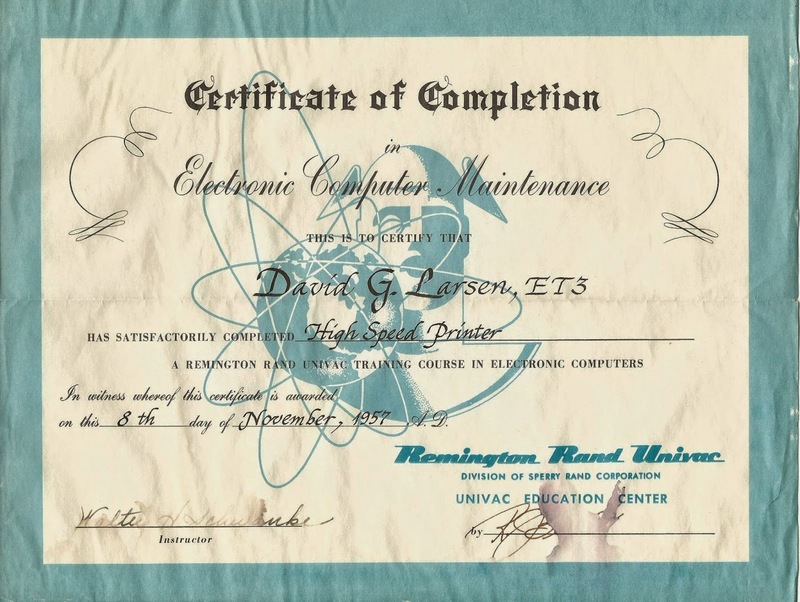 Ham radio experience and learning was good enough to get me to school at Remington Rand Univac. I was just a kid in 1957 - 19 years old and just graduated from high school. This was my first experience with computers. That's me in center back with big dark glasses. 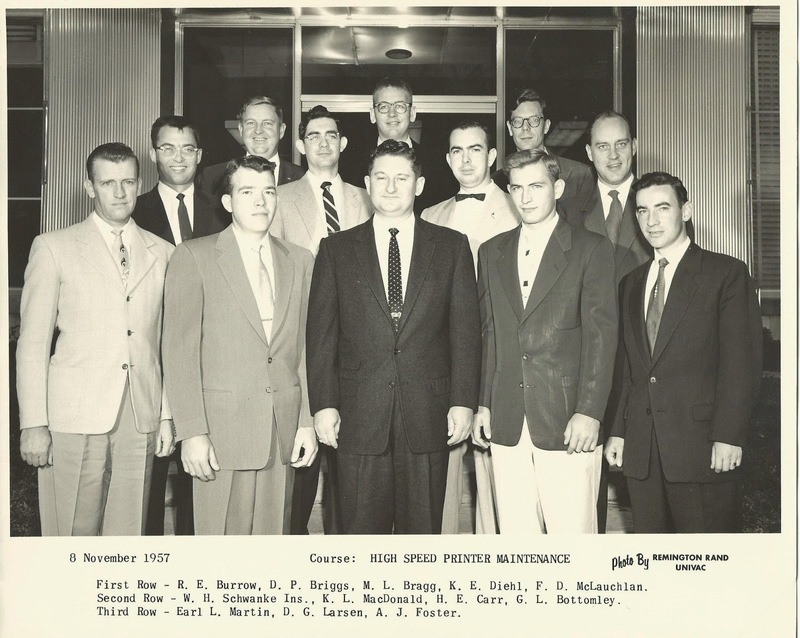 I was the youngest and a 3rd Class Petty Officer among commissioned officers and Chief's. I arranged a group of 2 Ukrainian's, 3 Russian's, and 3 Americans for this expedition in 1992. Dr. Toufiq Ali at the Bangladesh Embassy in in Washington DC helped make this trip possible. It took more then a year to put in place. Dr. Toufiq Ali is the one who made the call to China and arranged our meeting at the Bangladesh Embassy in Beijing. 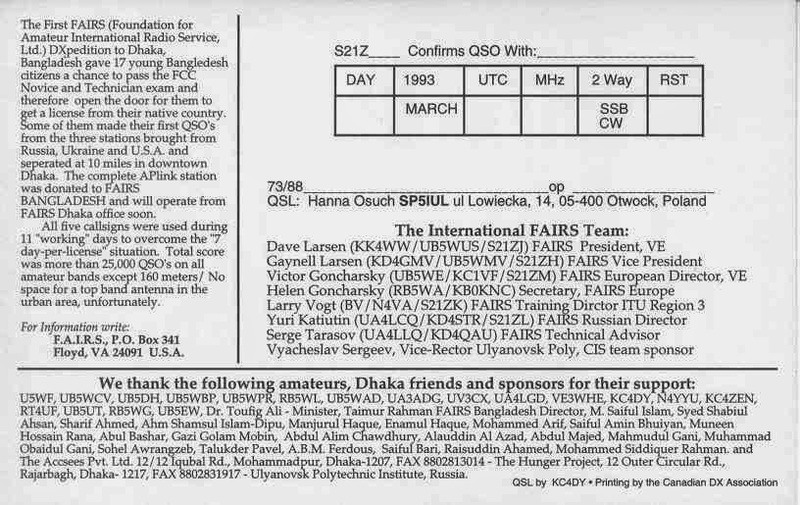 Details of Ham Radio DXpedition can be read on back of this QSL card. Click on photo to enlarge. We made about 25,000 radio contacts on this visit. My license in Bangladesh was S21Z and my wife was S21ZH. Only about five licensed amateur operator's in all of Bangladesh at this time so we were some of the first foreigners to get a Bangladesh license. The lady on left is Helen Gonchasky (UR5WA and KB0KNC) - We first met her in Ukraine in October of 1990. WOW -- and still friends. FAIRS is sponsoring her visit to Headquarters in Floyd, VA this May for a 30 day visit. The good looking lady in the middle is my wife Gaynell (KK4WWW, UB5WMV and S21ZH). The banner in the background indicates our banquet with the communications minister of Bangladesh - great time. Helen will be here this May 2015 and Also with us at the Dayton Hamvention in Dayton,OH. If you hams are in Dayton come by booth 412 and say hi to Gaynell and Helen. Manju S21AM - he is in the photo above will be at Hamvention with us this year - other joining FAIRS at the show 8R1AK, VE3DX, W4VZH hope to see you there! Other adventures during the China visit. 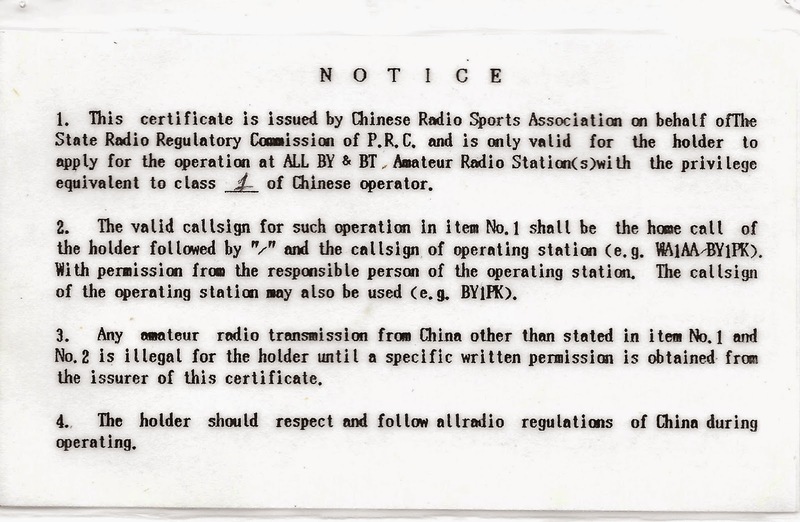 While in China I was able to operate some ham radio with this Chinese Amateur Radio license. Mr. Chin Pin who was in charge of amateur radio in China had our license waiting for us in Beijing. I met with Mr. Pin a few month earlier at the Dayton Hamvention. Here I am operating amateur radio station BY1QH at Tsinghua University in Beijing. I was also honored to give a lecture to about 200 students at Tsinghua University about the international advantages of amateur radio. That was exciting. Why write about these adventures ? I want young people to know not to limit your thinking and about the opportunities than you can create for yourself. Every skill you have like HAM RADIO can open many doors to great adventure. Here is just a few more adventure my wife and I had the pleasure of enjoying. -- Visit to Guyana South America at the personal invitation of Dr. Cheddi Jagan the President of Guyana. We even lived in his guest house during our first visit. I will write about this adventure as it also included computers and amateur radio. ---President George Bush 41 and his State Department Staff helped in many ways with our visits to the Soviet Union in the 90's. We even received a $25,000 grant from the US Department of International Aid (USAID) to help with out Soviet Work. Check out this adventure "CLICK"
----We operated amateur radio from the Bangladesh and Guyana Embassies in Washington D C as a result of our contact with the officials from these countries. 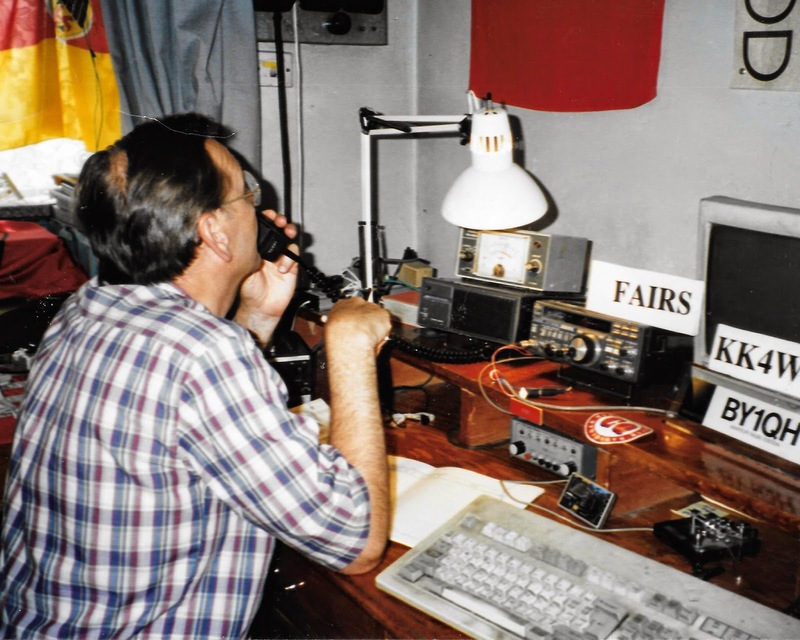 We are still good friends with Peter Denny in Guyana 8R1WD ( Peter was the Guyana Ambassador to Russia for 7 years in the 90's & in China one year) and have radio contact 3 times a week. 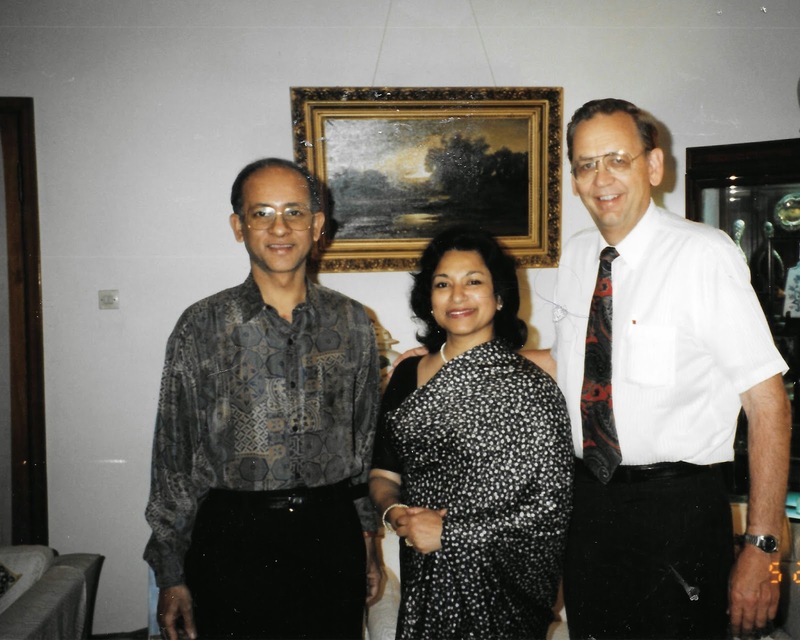 Peter arranged for our operation in the Guyana embassy in Washington DC many years ago. --- The list of great and exciting adventures during my 76 years have been more than I could ever imagine -- just great and they have not ended yet. Take a look at one more in Soviet Union a video. The message is think positive and think big and don't ask for something if you don't want it because you will most likely get what you ask for.